What’s the best type of snow removal contract for my commercial property? 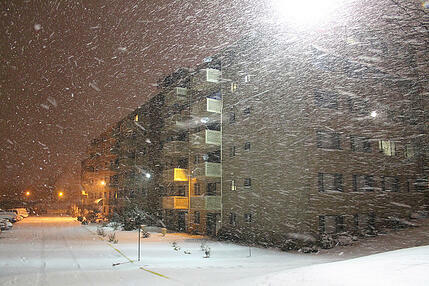 Winter is an exciting, but often stressful, time for commercial properties and the people who manage them. Holiday decorations go up on streets and store fronts, communities are buzzing with holiday travelers and guests, and everyone is making trips to shop after shop on the hunt for the perfect deal. These people need to be kept safe while on your property, and selecting the right commercial snow and ice removal contractor is a key first step in making that happen. But getting a qualified snow removal contractor begins with selecting s contract that meets your properties specific needs. 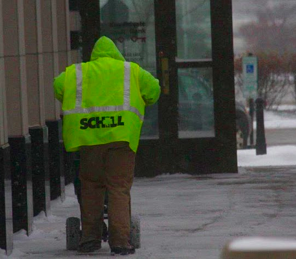 Every year Schill provides commercial landscaping and snow removal services for retail facilities, homeowners associations, and industrial and office buildings. Each of these types of properties require very different types of care to make sure they remain safe. 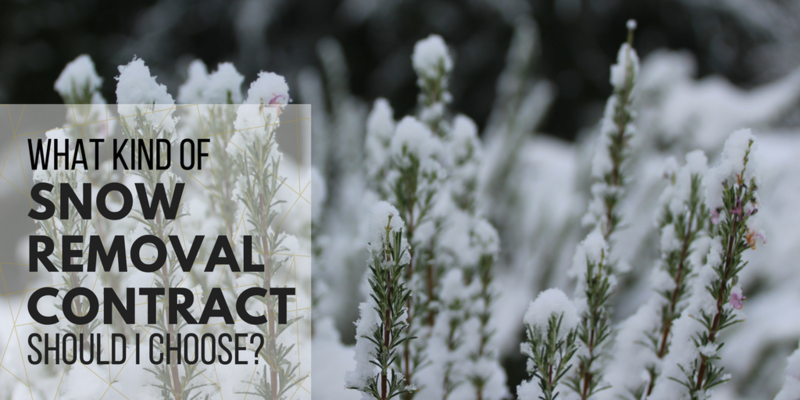 There are three types of contracts that all serve different types of properties well: Per Event, Seasonal, Seasonal All-Inclusive contracts that include anti-icing and de-icing services. Because of holiday shoppers, retail properties tend to receive the most traffic during the winter months. Areas with the most foot traffic require the most comprehensive coverage to ensure customers’ safety. While there are exceptions, we like to suggest a full service seasonal contract for these well-travelled areas. 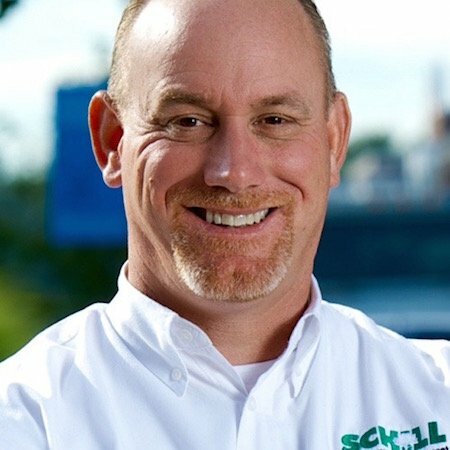 Full service contracts, like the one used at Crocker Park, mean that the Schill team is your partner in for all winter events. As soon as there is sign of an event on the doppler radar, we’re on the property spraying deicer and making sure that your retail facility doesn’t miss a beat due to anything snow related. To protect the client and the snow removal company, it’s an industry standard that per season and full-service contracts typically span at least 2-3 years, allowing for the law of averages to benefit both sides. During years with heavy snow fall, the contract will work in the client’s favor, while milder winters that don’t require as much plowing or pre-treatment will favor the snow removal company. So, contracts that span a few years tend to be fairer for all parties involved, and allow for less stress for property managers. With a full season contract, you can rest assured that you’ll be taken care of no matter what happens during the winter. 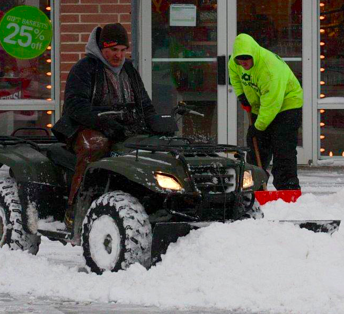 Other retail property managers will instead opt for a per event snow contract. This means that our crews will begin services when snow or ice reaches the agreed upon trigger depth, usually 1-2” for retail properties. High trigger depths mean an increase in price, since it takes more work for our crews to clear 4 inches of snow, for instance, than 2 inches. Some property managers like these hese types of contracts because they allow for an itemized statement at the end of every month, and clients are only billed for the services provided. Want to keep your property safe this winter? Check out our comprehensive list of commercial snow removal tips for property managers. Condominiums, apartments and homeowners associations are very diverse properties. Some are geared toward younger residents with families, while others cater to seniors; these differences contribute significantly to the type and frequency of winter services offered. For example, tenants in associations tend to be more self-sufficient, directly taking more care of the land around their home. So, sometimes HOA’s with younger residents will want driveways cleared, but not sidewalks, leaving that responsibility to the homeowners themselves. But older residents, who are more prone to injury no matter the season, need special protections during winter weather. For this reason, associations within senior living communities usually seek grounds management that’s more comprehensive. This will often include programs that address clearing sidewalks and driveways of snow and ice. If you’re an HOA board member, the last thing you want is members complaining in association meetings about unexpected fee hikes. You can avoid this by budgeting for reserves, but knowing exactly what your snow-related maintenance costs will be for the season can save you a lot of stress. Per season contracts also allow for simpler, predictable billing, and they can protect your association in the event of a season with a lot of snow events. HOA members will know what their winter maintenance costs will be for the season months ahead of time. Office buildings and industrial facilities can be complex, and there are a few factors to consider in order when creating a snow and ice program tailored to your properties specific needs. When designing programs for office and industrial facilities, hours of operation are the primary driver of the scope of service. For instance, if your offices are closed on weekends (meaning absolutely no one enters the property), then perhaps a per event contract that includes week days only would work for you. This would mean your property only gets plowed when there are people on-site. Or, if your office is closed after 6pm, then perhaps you’d like a program where plowing and deicing services are suspended overnight and the lot is plowed and slated before employees arrive the following day. Every storm is different and service may be required in extreme cases but hybrid programs ensure that your property and employees are safe without wasting valuable resources. We believe there’s no “one size fits all” solution for your commercial snow removal needs. If your property is in the Northeast Ohio area, we’d love to talk with you about becoming your winter maintenance partner. Contact us for a no-obligation consultation. Or, if you prefer to do a bit more research first, download our free Snow Hiring Guide. It’ll tell you everything you need to know to start looking for a certified commercial snow removal contractor.